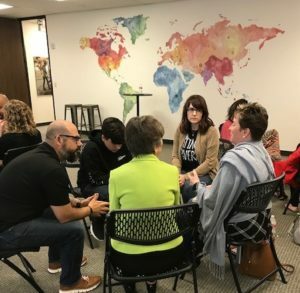 Houston, TX (ANS) April 11, 2019 – We often say that the Kingdom of God is based on relationships. Of course, our relationship with the Lord is the first and foremost relationship. When we are in a right relationship with our Heavenly Father, the Creator God of the Universe, it makes it possible to have healthy relationships with others and our circumstances. One of the important lessons we’ve learned over the years is how Orality Training experiences can create, build or improve relationships. The training events provide opportunities to hear other people’s stories and experiences. We’ve observed how pastors, church leaders and others from different tribal, ethnic or denominational backgrounds can find common ground. The participatory and engaging nature of the training allows for removing barriers and building bridges of relationships. The stories, parables and lessons from Scripture of how Jesus related to those of different ethnic and racial differences are universal in their applications. The story of the Samaritan Woman at the Well, from John 4, and the story of the demon-possessed man of the Gerasenes, from Mark 5, are great examples. We see how Jesus is a cross-cultural and counter-cultural person. He values all people. A few simple stories from the Word of God can be used to communicate many important lessons. Worth and value in the Kingdom of God is a major topic everywhere. With a set of stories, and the appropriate pre- and post-story discussion and dialogue, we can find many common themes about relationships. We can think about who Jesus has time for, who He values or who He chooses to use for His Kingdom purposes. 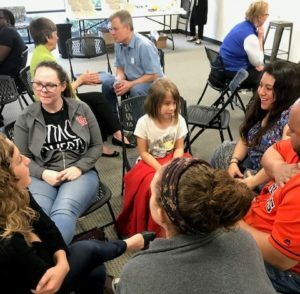 An Orality Training Workshop in a Texas church provided a platform for building and enhancing relationships. While the participants had attended the same church for many years, they discovered how little they really knew about each other. 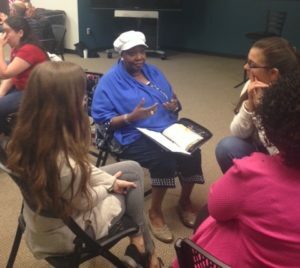 Learning, retelling and discussing the stories in the training opened up conversations for sharing at a heart level they had never experienced before. Participants shared about the storms of life they had faced, how they related to the story of Nicodemus and being born again, and how God had answered prayer and intervened in their lives. Many breakthroughs came as they interacted with each other and communicated at a deeper and more intimate level. Finding common ground around the life, the Spirit and the teachings of Jesus allows for overcoming major differences. 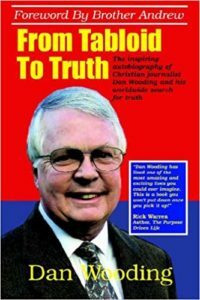 The traditional, cultural and ideological differences seem to fade away, or as least are minimized, when relationships are improved. 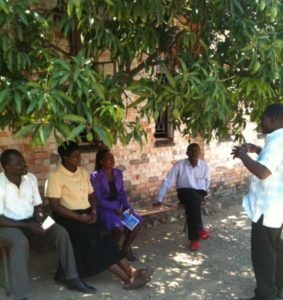 Connecting, communicating and listening are all vital elements in the Orality Movement. There are significant lessons that we in the Western World can learn from the more relational, communal Oral Cultures. There is a growing awareness of the many Oral Art Forms, including various performing, visual and relational arts. Actually, storytelling can be considered an art form, as well as the art of conversation and the art of listening. Some business leaders are realizing the power of storytelling for building community and relationships, as well as enhancing corporate culture. Families, churches and various organizations can all benefit and enjoy better relationships through the use of the principles and concepts of Orality. The global community of learning and practice is continuing to grow around the methods and strategies of Orality. We continue to discover multiple applications, from trauma therapy to racial reconciliation, from communicating the Gospel and making disciples, to church growth and multiplication, and much more. Relationships are foundational to the ultimate objective of advancing the Kingdom of God and completing the Great Commission. It’s amazing that many of life’s most complex and complicated problems have fairly simple solutions. Broken relationships, for example, can often be resolved, healed and restored by simply having conversations, listening and seeking to understand other people’s feelings. In relation to church life and mission strategies, resolving conflict and restoring relationships are so important. An older gentleman in an Orality workshop in East Africa observed that the training event removed major barriers. Pastors and church leaders were able to recognize that finding common ministry goals and objectives helped overcome many tribal, language and traditional differences. Years ago I had the privilege of being part of an effort to bring reconciliation in a country that was in great conflict and on the verge of civil war. Through a series of meetings and discussions with key church and business leaders and government officials in that country, major progress was made toward averting a crisis situation. While it may not be obvious on the surface, a significant part of the Orality movement is about relational health and it’s multiple applications and benefits. It seems to be one of the keys to a John 17 style unity in the Body of Christ.